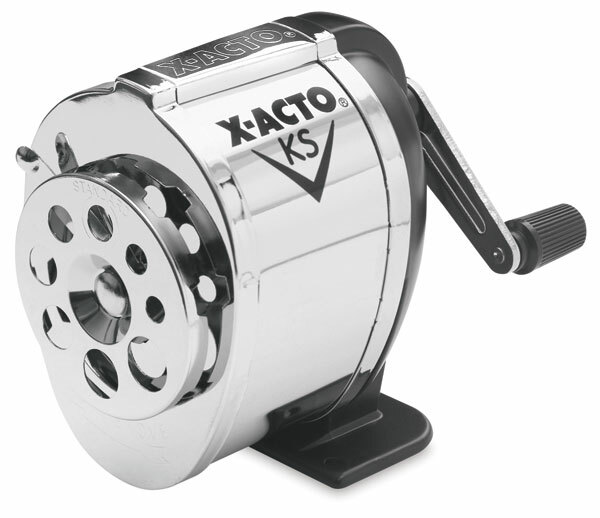 Economical sharpener has pencil guide for sharpening 8 pencil sizes. Automatic stop prevents oversharpening. Has solid steel gears and 30 cutting edges. For wall or desktop mounting.